While I was playing around with the Restaurants Nearby in Google Maps today I got really curious about what restaurants would be the Top 10 in Malmö on the major discovery platforms. 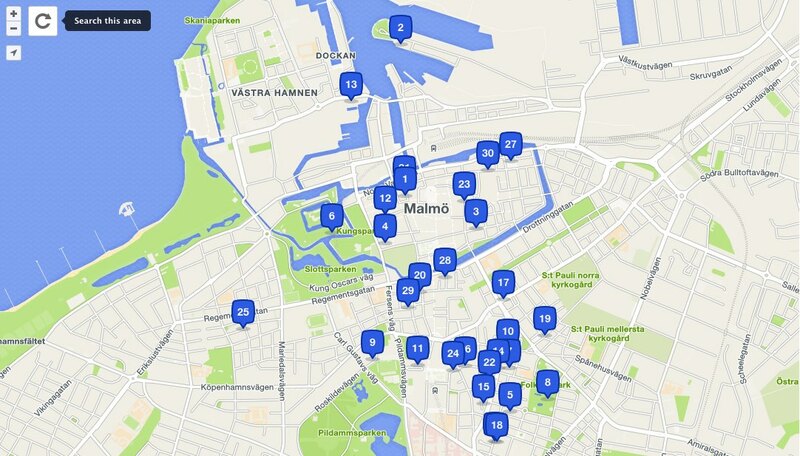 What do people see when they search for something to eat in Malmö? I logged out of my accounts and did incognito searches to get a non-biased result list, but the reality is that you are most likely logged in to your accounts on these services which skews the results based on your taste, where you have been and where your friends have been. But I wanted to get an image of what results you’d get if you’re not familiar with the city. As I am seeing the results, I think it’s a sign that generic lists based on strangers ratings and reviews doesn’t necessarily show you places you’d like to visit - but how would you know? Foursquare’s mission is to be “a piece of software that learns about you, where you go, what you like and what you don’t like” and I believe that’s the future of location discovery. The more you feed the platform about your taste, places you’ve been and liked, the better it can recommend places for you. The problem I see with ratings and reviews of strangers or even friends is that you don’t know if you have the same taste as them. Most likely you don’t. Recommendations from people only gets valid if you know what they like and they know what you like - and that’s really hard to know. A discovery platform could potentially be that friend that knows you better than anyone, even better than yourself! How about that!